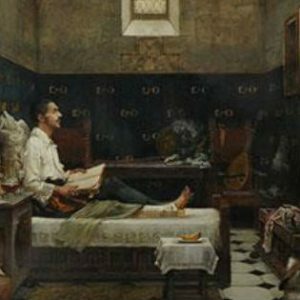 While convalescing in Loyola, Iñigo was given a copy of the life of Christ and a popular collection of lives of the saints. 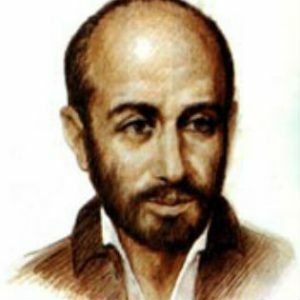 He began to take notes as he read; these made such a lasting impression on him that their influence can be seen in his later writings, especially the Spiritual Exercises. It was also during this period of convalescence, that Iñigo began to notice that something deep within him was stirred while he was daydreaming. When dwelling on thoughts about God, he felt a deep peace and ‘rightness’, but when he frittered away his time on romantic and frivolous notions, he felt restless and dissatisfied. The terms Ignatius began to use for these movements were ‘consolation’ and desolation’. When a person is seriously trying to grow in the ways of God, thoughts or behaviours which are consistent with this intention will bring the person “consolation.” Even if these actions are “difficult,” such as going against one’s natural inclinations (agere contra), they bring a certain peace or feeling of “rightness” because they are consistent with the interior movement of the Spirit. (SpExx. 328–336). On the other hand, a person who has deliberately chosen to move away from God and live a life of self-indulgence will find cheap “consolation” in all that supports these selfish interests and ambitions. However, at some point they may sense a growing dissatisfaction with their self-centred life and lifestyle. This experience of “desolation” (because it is “contrary” to their general direction) is a sign that the Spirit is nudging them to take stock, raising questions which disturb their comfort zone. For a person in this state, this experience of discomfort or “desolation” has the potential to move them in a positive direction – towards God. Over time, Ignatius came to understand these feelings as gifts of the Spirit, indicators which could be trusted whenever he had to make important decisions. By identifying them and reflecting on their meaning, a person is able to “discern” which of these feelings or ‘spirits’ leaves them with a sense of ‘rightness’, a deep interior peace, “that peace which the world cannot give” (John 14:27). Here are some helpful presentations available on YouTube by Fr Brian McDermott SJ.